If you’re not familiar with TopGolf, it consists of a huge multi-tiered driving range with dozens of individual hitting bays that can accommodate up to eight guests (six players). 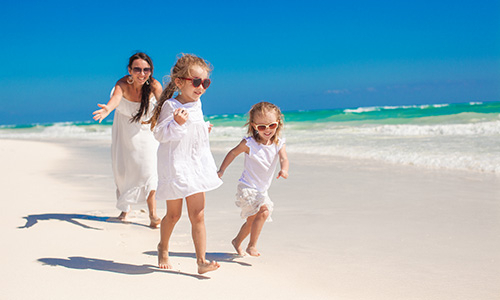 Each bay is actually climate controlled so even on those hot Myrtle Beach days or nights, you and your friends can stay cool and comfortable. TopGolf turns the driving range experience up several notches, with each ball you hit containing a microchip that tracks its landing spot as you take aim at targets spread out over the huge hitting area. It’s part golf, part video game but 100% fun and competitive as you and your friends battle it out for the high score and bragging rights. The amazing driving range experience of TopGolf would be enough on its own to attract scores of guests, but the TopGolf crew have created a truly amazing hangout spot that golfers and people who thought they’d never pick up a club in their life alike will want to spend a day or night at. The Myrtle Beach TopGolf location features a rooftop fireplace with a fire pit, hundreds of HDTVs and will feature live music acts nightly (in season). 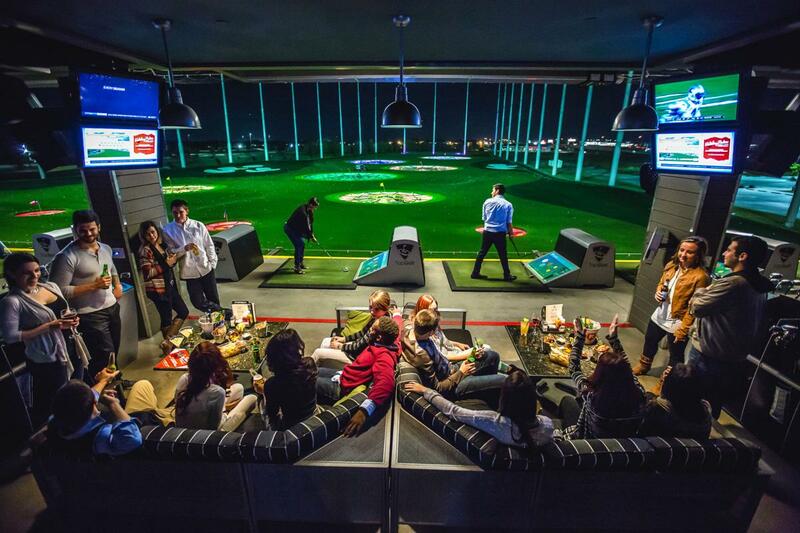 In addition, TopGolf has garnered acclaim for their sensational food and drink menu. Kick things off with signature shareables like bacon mac and cheese spring rolls or their juicy grilled “Backyard” wings, then move on to unique main dishes like chicken and waffle sliders, a brisket grilled cheese sandwich or their char-grilled steak flatbread. And after working up a thirst, their full-service bar serves up a world-class selection of domestic and craft beers, wine and spirits including their trademark cocktails like TopGolf Tea or Kenny’s Coconut Mojito. With so many amazing features to enjoy, TopGolf is sure to be one of Myrtle Beach’s hottest attractions. Fortunately, the Grand Strand enjoys a mild climate during fall and winter, so now is the perfect time to plan a Myrtle Beach golf vacation. The pros at Myrtle Beach Golf Central will help tailor the perfect golf package in mere minutes. Whether you want to challenge the courses of Pawleys Island, play the best of Myrtle Beach courses or pick an a la carte experience, the Myrtle Beach golf package of your dreams is waiting!